Dubuque…And All That Jazz! is a Friday night concert series highlighting the best jazz, blues, r&b, and salsa music in the mid-west. Please note: No carry ins or coolers are allowed inside the festival grounds. Please patronize our beverage stands and our great food vendors! 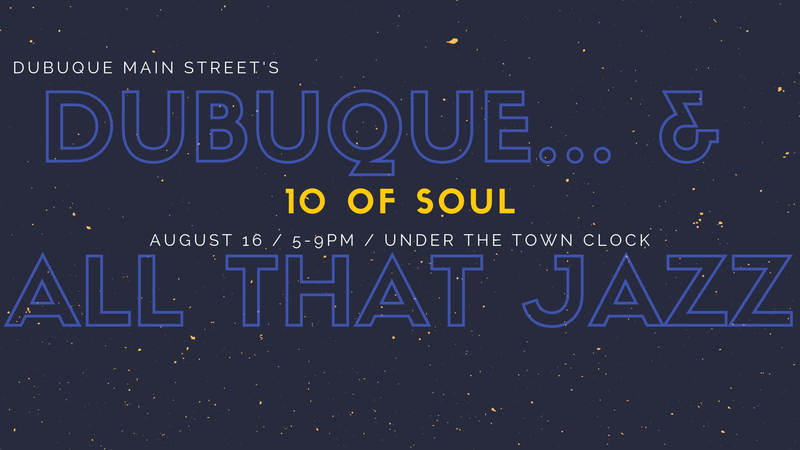 Jazz is sponsored by Dubuque Main Street and we will be serving up ice-cold beverages all night long! Adobos, Chocolate Hog, Catfish Charlie’s, Happy Hibachi, Magoos, Sugar Rays BBQ and Elle & Becks.